It was a beautiful day when a crowd of almost 50 women, divided into 19 teams, started coding their Rails applications at Rails Girls Kraków. They created various apps - from blogs to make-your-day-better sites, with random pictures of cats. Let’s enjoy the moment one more time with a recap! 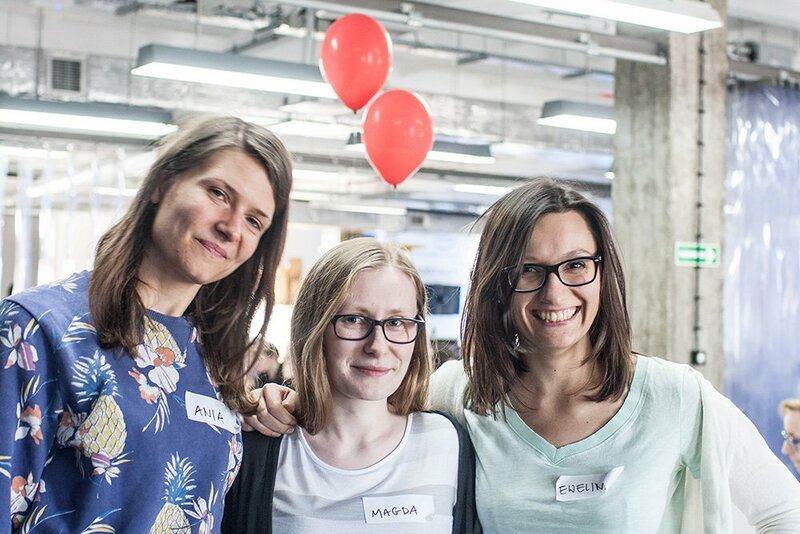 It was a beautiful day, on the 16th of May, when a crowd of almost 50 women, divided into 19 teams, started coding their Rails applications at Rails Girls Kraków. For most of them it was their first time. Regardless of their backgrounds – culture, science, graphic design, sociology – the attendees stayed focused for hours, asked mentors many questions and had lots of fun! They created various apps - from blogs to make-your-day-better sites, with random pictures of cats. Let’s enjoy the moment one more time with a recap! 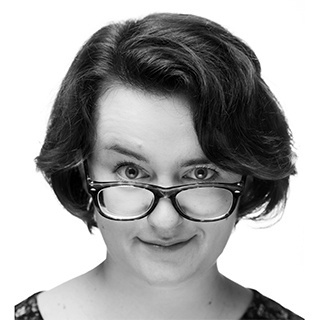 Rails Girls is an initiative from Finland, founded by Linda Liukas and Karri Saarinen. In 2010 they came up with an idea of a women-friendly workshop to show the opportunities available in computer science and to overturn the stereotype that programming is not a girl thing. The event was held in Poland for the first time in 2012, in Kraków. It was organised by WebMuses, a newly formed community of designers, students and businesswomen. This year Rails Girls came to Krakow for the fourth time and netguru just had to be there! What Was The Main Idea? 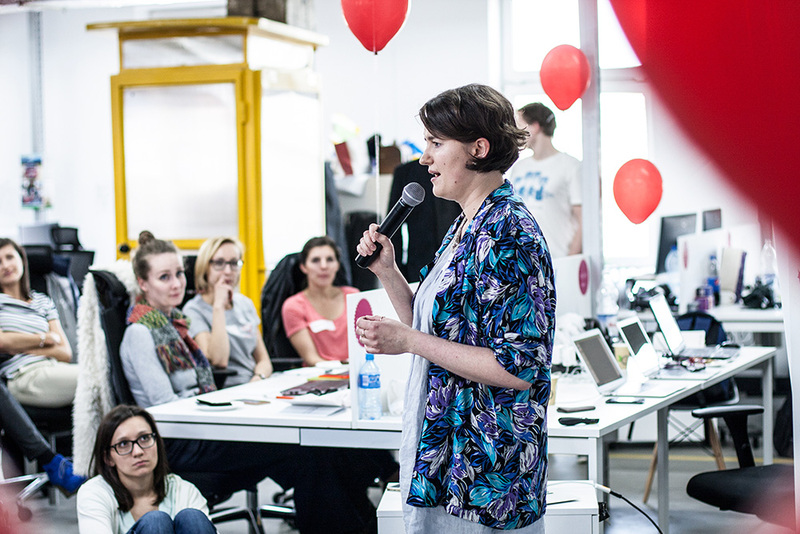 This year, the RG Kraków organizers and WebMuses wanted to create an event which would inspire women to take some risks, develop their skills and maybe even start their own business. With this in mind, hub:raum, one of the best co-working spaces in Kraków, was chosen as the RG venue. Hub:raum is an innovation hub that supports CEE startups by acceleration, incubation and access to their worldwide telco/IT group assets. We started on Friday with an Installation Party & Łukasz Cieśla’s presentation about a lean startup methodology, demonstrating that the process of developing a product doesn't have to take years. And here’s Maria & her crowd! One of the highlights of every Rails Girls event are the ‘lightning talk’ sessions. Lightning talks are 7-minute-short presentations. Their main goal is to share a success story, introduce an interesting idea for a business or motivate the audience. Tom Carter, u2i, came back to programming after some years of teaching English and shared his thoughts about what had changed. Ania Bywanis-Kwiecień, James Cook Publishing, told her story about a career u-turn from a big, slow, corporate work environment to a more dynamic and challenging one, divided between a digital publishing house, TedxKazimierz, KazimirApp and more. Paweł Brodziński, Lunar Logic, made some points about motivation, because some people don’t even hide their lack of motivation at work..
Emilia Andrzejewska, Pilot, using the most delightful slides, destroyed the most common reasons why women shouldn’t program. Jacek Złydach, Hackerspace Kraków, gave an introduction to hackerspaces. And the last speaker was me! I answered the question: “do we need another Steve Jobs?”. FYI: No, we don't. In summary: it's not just about teaching, it's also about showcasing opportunities. As one of the WebMuses, I've organised Rails Girls Kraków for the 3rd time. We’ve had much success, but there’s still more to do. I'm glad that netguru supports the values I believe in. 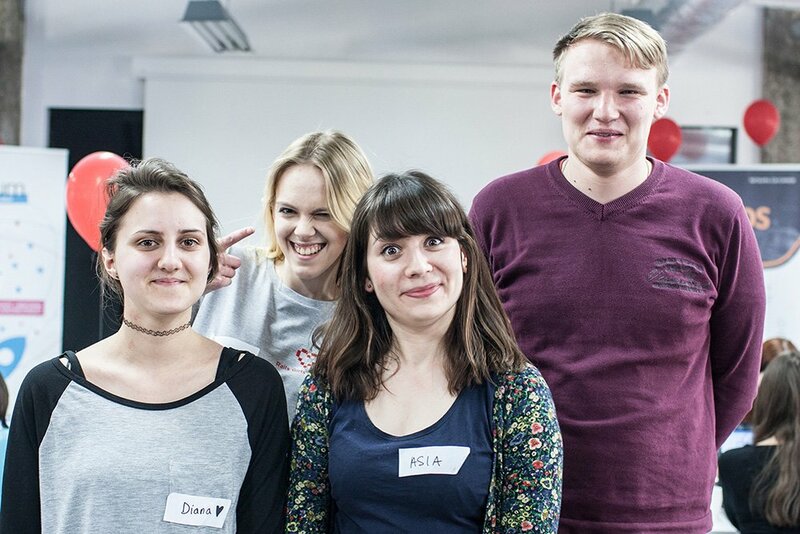 And if you’re wondering what we’re up to next - you can meet the netguru folks at Rails Girls Łódz this weekend!